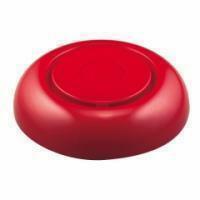 Fire Bell KS-F110 is 6 inch circular fire alarm encased in bright red color design and loud siren to promptly notify building occupants of fire hazards. It replaces the traditional metal fire bell with improvements in sound projection and electric circuit component. Multiple tones are available to select from. The pitches of holes for screwing fit USA and European outlet sizes. Bright red color for distinguishable identification. ‧Tone : Bell, whistle, sweep, fan-horn, etc. *****We welcome any OEM designs/specifications you would like to develop. Please feel free to contact us.